Pluto Opposition of the Moon = Earthquake! I’ve recently been warning my friends, students and clients about the upcoming Solar Eclipse coming up on Friday, August 1st, 2008. No doubt, this earthquake is just a presage of things to come. Hang on, it’s going to be a bumpy ride. Next up, Japan! Read more about my Astrological thoughts on this earthquake by visiting my Magick Forum by simply clicking the link below. To see an Astrology Chart of today’s earthquake, please visit my Magickal Forum in the Astrology Section. The Sun is the source of all life on Earth, and as such lends its intense energy to whatever zodiacal sign it happens to be passing through. 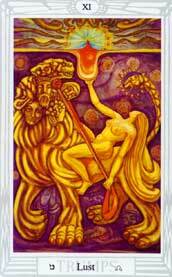 The Sun rules the 5th House of the Zodiac, which is governed by the sign of Leo. The 5th House concerns the subjects of Romance, Creativity and Children, as well as Gambling and games of chance. Those born between the dates of July 22nd through August 21st are born under the sign of Leo, whose zodiacal emblem is the lion. Thus, those who are born during this solar phase bear the “traits of the Lion” as a result. 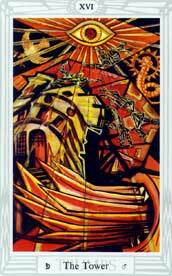 For more info on the Sun and its rulership of Leo, please visit the Voxx Magickal School site. I hope you all enjoy the Season of Fire responsibly. Angelina Jolie: The Golden Twins Are Born! Saint Angelina Jolie and her godly Pangenitor, Brad Pitt have finally brought forth their Golden Twins (a boy and a girl) into the world! The boy is named Knox Leon and the girl is named Vivienne Marcheline … lovely names. The twins were born around 10:00 pm, in Nice, France at a local hospital. I have posted their Astrology charts (based upon their approximate birth times) View the Golden Twins Astrocharts here. What I can tell you already is that these lucky babes were born with a remarkable Grand Water Trine (18-20 Degrees of Uranus in Pisces, Moon in Scorpio and the Sun in Cancer. Simply put — wow! They will want for nothing in their lives. Needless to say, two children have never been born with as much potential for beauty, fame and wealth since the days of ancient Egypt. Before their birth, the twins were even officially recognized by the French Government as honorable citizens of Nice, France where they were born. For now, I’d like to send love, health and continued blessings to Angelina, Brad and their entire family.